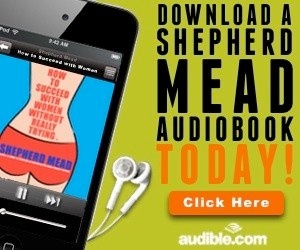 Shepherd Mead (1914-1994) was one of those men dogged by success. 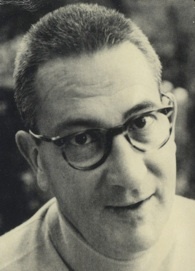 At 22, the quiet Phi Beta Kappa from Washington University left his native St. Louis for New York and joined the mail room of a large corporation - as does J. Pierrepont Finch, the leading character (who is by now a sort of folk hero) in How to Succeed in Business Without Really Trying. Like Finch, Mead rose to the top. It was, in fact, while he was a Vice President, inhabiting a huge office with four windows, that he wrote How to Succeed in Business. It remained 12 weeks on the best seller list and was followed by several novels on big business, one of which, The Admen, sold more than two million copies. In 1957, Mead vacationed with his family in Europe and decided to remain there to live. Meanwhile, back home, Abe Burrows and Frank Loesser were concocting from How to Succeed in Business the Broadway musical comedy success that went on to win the Pulitzer, the New York Drama Critics, and almost every other known prize. In 1958, Mead moved his family to England where he lived until his death on August 15, 1994 at the age of 80. The Edward Shepherd Mead Estate is dedicated to the stewardship and adaptation of the Shepherd Mead library across all media. Like J. Pierrepont Finch, Mead's caricature of a business man, Mead became a sort of folk hero in his own right - but a folk hero with a message.